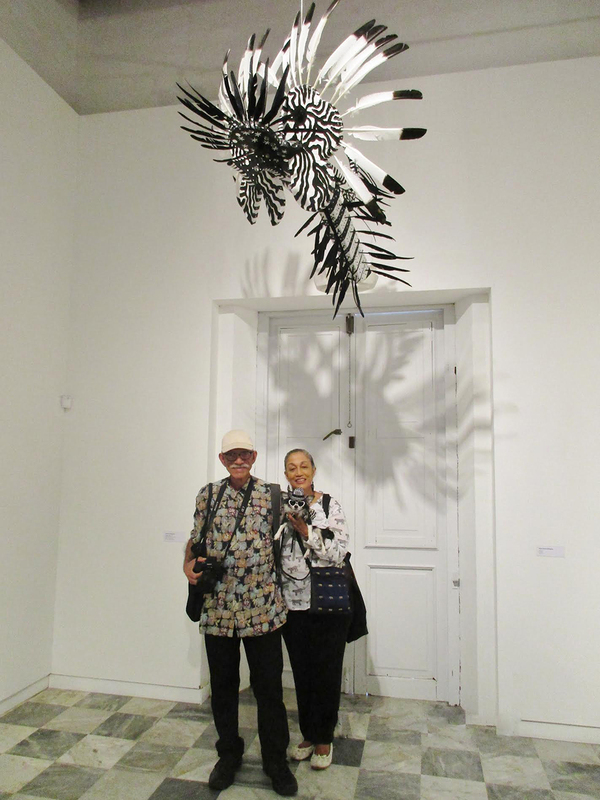 The artists were selected by the Institute of PR Culture/Instituto de Cultura Puertorriqueña, focusing exclusively on sculpture for the first time in thirty years. 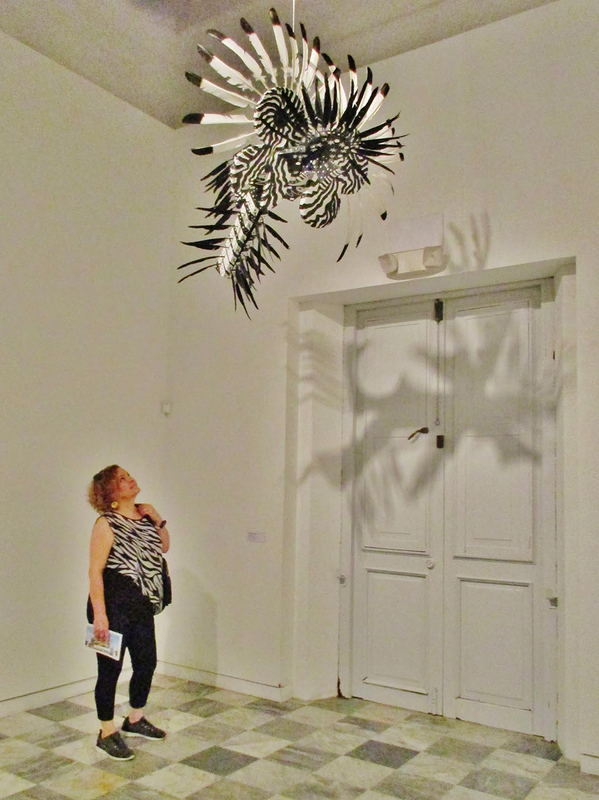 For this exhibition, Rodriquez installed a version of Zebra Bird, featured last summer in the group exhibition Early Encounters on Governors Island. 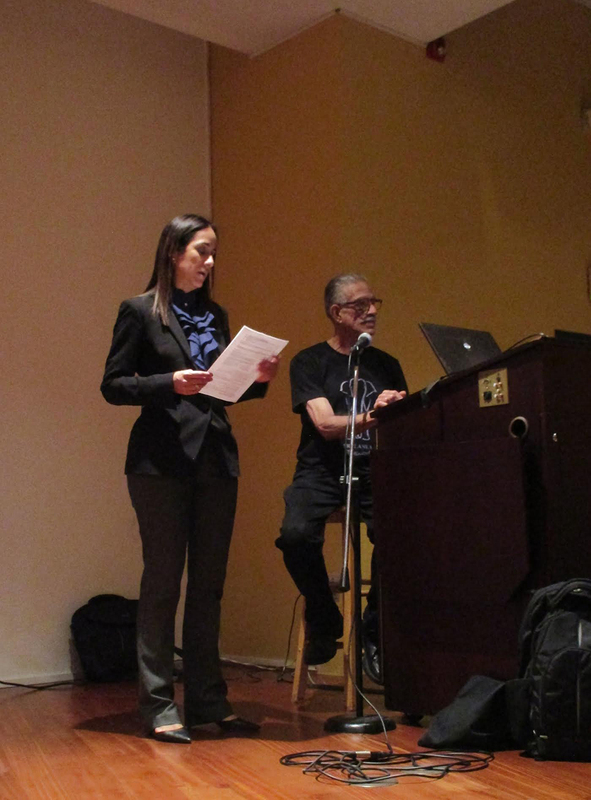 It was a busy year for the artist, with his installation Atlas of the Third Millennium arriving in Marcus Garvey Park in late 2017 with related programming; and the exhibition A Monument to the 500 Years of the Cultural Reversal of America at The Center for Puerto Rican Studies in East Harlem in 2015. The artist is probably best known for his art installation, Growth, in the East Harlem Art Park. This permanent installation was the first public work completed by the Percent for Art Program of the New York Department of Cultural Affairs in 1985. 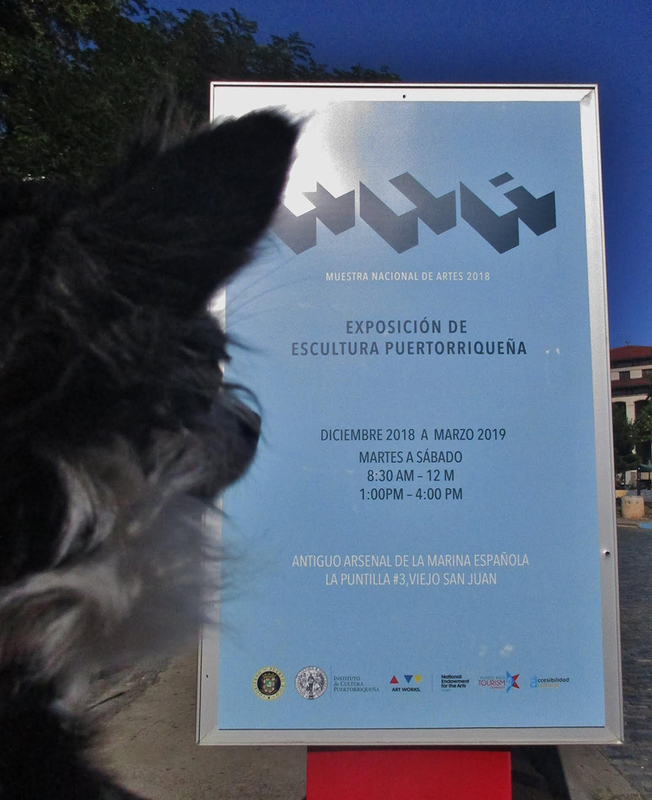 Above image ~ Artist Talk with Jorge Luis Rodriguez with college faculty and students at Escuela de Artes Plasticas y Diseño/School of Arts & Design in Old San Juan, with introduction by Rector Ileana Muñoz Landrón. 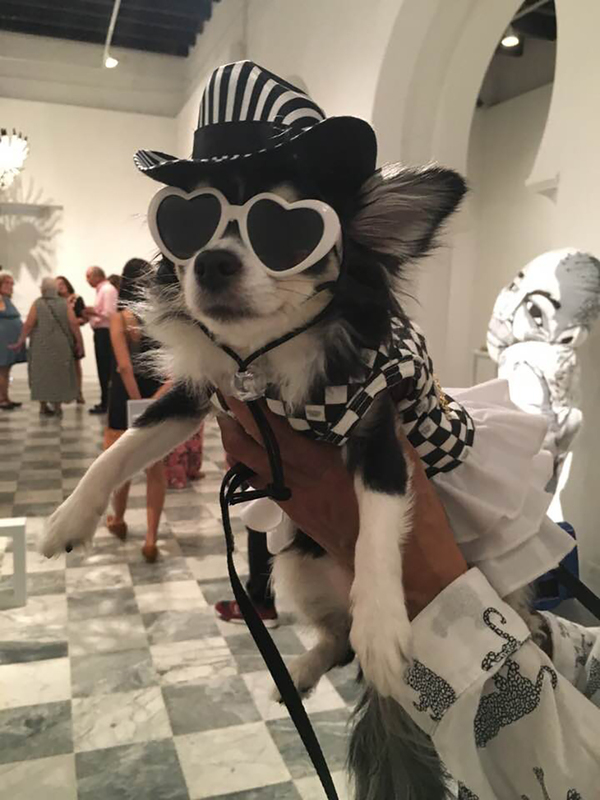 We couldn’t resist posting this wonderful image of #Pandy (below), taken at the opening reception (we knew she’d be there). The exhibition will be on view to March, 2019. 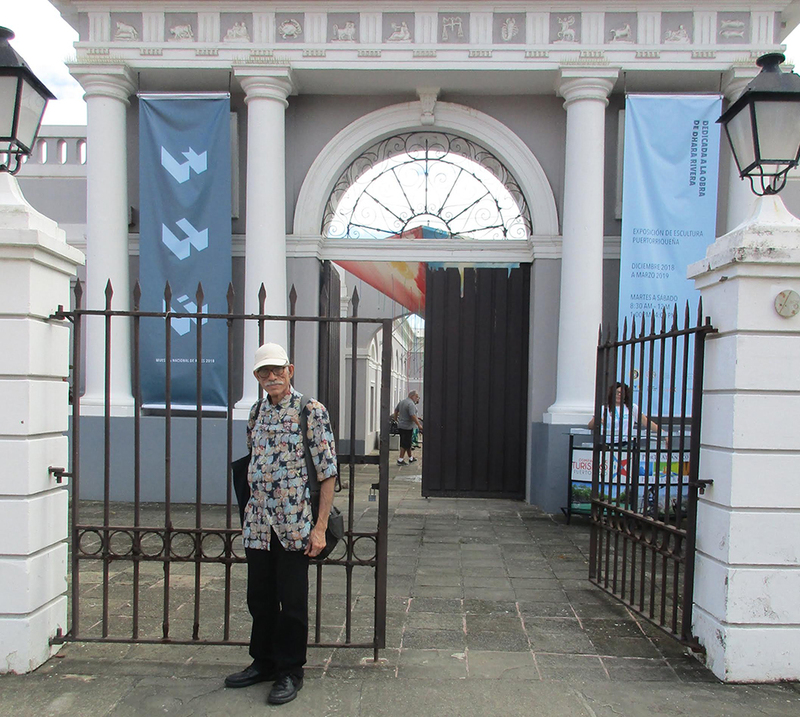 Museo de la Antigua Marina Española is located at 32 Calle La Puntilla, 00901 San Juan, Puerto Rico.